Dr. Katkin is board certified in pediatrics by the American Board of Pediatrics. 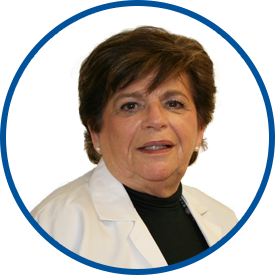 A graduate of Barnard College, Dr. Katkin was awarded her medical degree from SUNY Downstate Medical College. She completed her internship, pediatric residency and an ambulatory care fellowship at Bronx Municipal Hospital. She is a senior attending at Lawrence Hospital Center and is an associate clinical professor of pediatrics at Albert Einstein College of Medicine. In private practice since 1986, Dr. Katkin joined WESTMED Medical Group in January 2011. Dr. Katkin has many years of experience taking care of children from infancy through adolescence, and brings the added advantage of a parent and grandparent’s viewpoint.